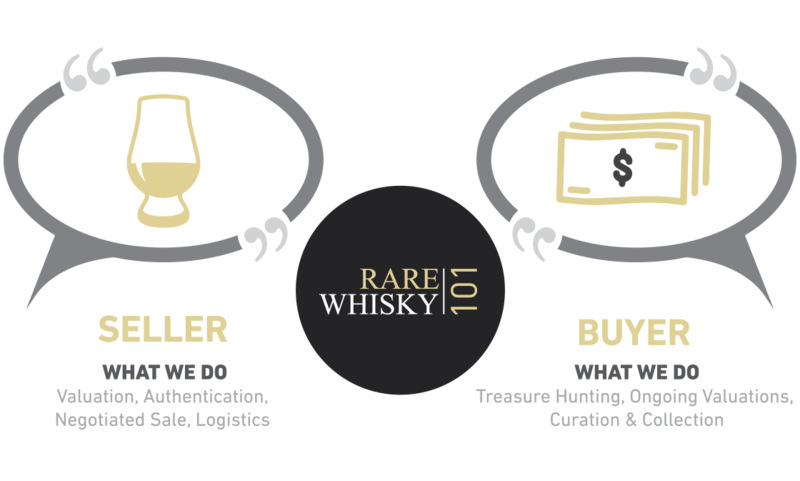 Earlier in 2017 Rare Whisky 101 launched a new bespoke cask brokerage service to meet an increased demand we were experiencing from our current client base seeking rare whisky still held in wood. With demand for Scotland’s rare liquid gold showing no signs of abating, and demand exceeding supply in the bottle auction channel, unsurprisingly, some of the world’s leading whisky hunters are now casting the net ever wider to include casks. Over recent months RW101 have already brokered casks (barrels, hogsheads and butts) from a range of iconic brands including Ardbeg, Laphroaig, Macallan, Highland Park, Rosebank and Springbank. In total, if bottled at cask strength, the new owners would be able to fill 13,576 bottles worth a total of £3.574M. Prices have ranged from £2,500 per cask to over £500,000, with an average cask price of £132,000. We continue to believe that there are a small number of casks in existence, which, if they came up for sale today, could fetch well over £1 million. While we have always advised our customers against buying casks of new-make spirit, we believe that the market for older casks of quality liquid from top tier distilleries will continue to go from strength to strength. To satisfy their connoisseur curiosity – consuming unique bottlings. Acquisition of single cask rarities to add to their collections. Bespoke gift giving to colleagues and associates. Given the competitive secondary market, with many prices hardening, they see attractive value in casks as an investment. However, while the market for casks is gathering pace, we would warn owners of the dangers of holding onto casks for too long. Many people assume that as long as their whisky is stored in cask in a bonded warehouse, no harm can come to it. However, that couldn’t be further from the truth. There is most definitely a finite time in which to sell a cask. We recently saw a 50-year-old cask that had dropped way below the legal minimum of 40% alcohol to 28% and was subsequently deemed worthless! Casks can leak and become overly-woody so cask owners should ensure that their casks are checked with reasonable regularity. We would encourage any owners, even if they don’t want to sell, to get their casks re-gauged, sampled and valued. If fair value is supposed to represent the price in a sale or a transfer, that price is simultaneously an exit price for the seller and an entry price for the buyer. Where to look? Is all that glitters gold?